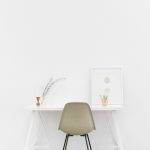 You may know that I have been talking about doing a makeover to my bedroom for quite some time. Well I am finally ready to get at it. Generally rooms in my own home get done over time, one piece and one small project at a time. 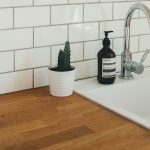 But this time I can assure you that you won’t have to wait around for months until I finally reveal the finished project because…..cue drum roll….I am participating in my very first One Room Challenge! 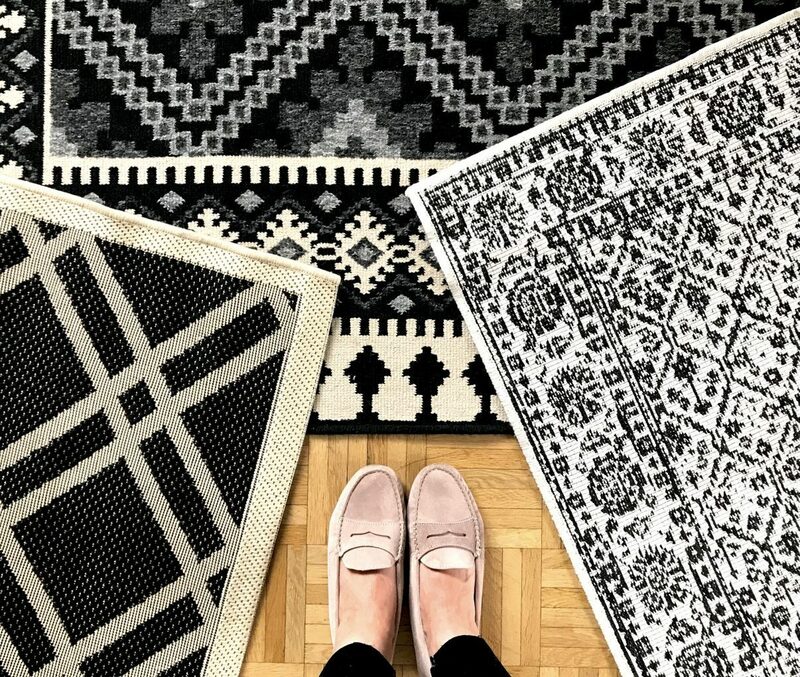 For those of you who may not of heard of the ORC, it is a design event hosted by the wonderful Linda of Calling It Home that takes place twice a year (spring and fall), where designers have six weeks to makeover one room in their house and blog about it along the way. I have been following this challenge for years and spontaneously decided that I would sign up this season as a guest participant. I’m so incredibly excited combined with really, really nervous. It’s going to be a crazy six weeks to get everything done, but at least at the end I hope to show you a brand new, gorgeous bedroom. It starts the first week of October and the big reveal will be on November 8th! I’ll be posting every Thursday here on the blog and my Instagram in case you want to follow along on all the progress. 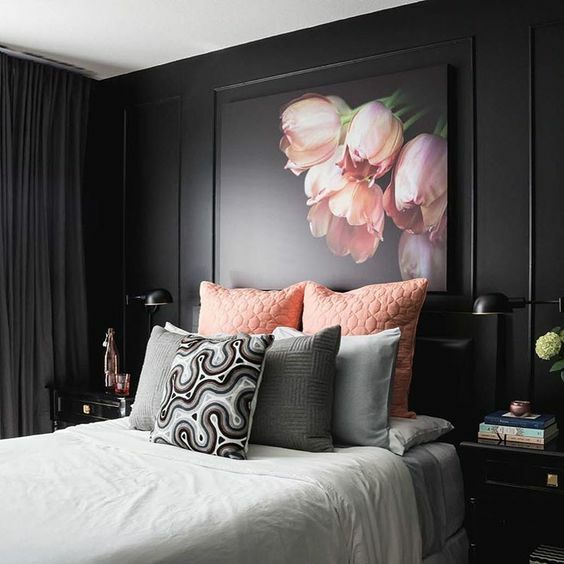 In preparation I have, of course, been looking for lots of gorgeous bedroom inspiration. 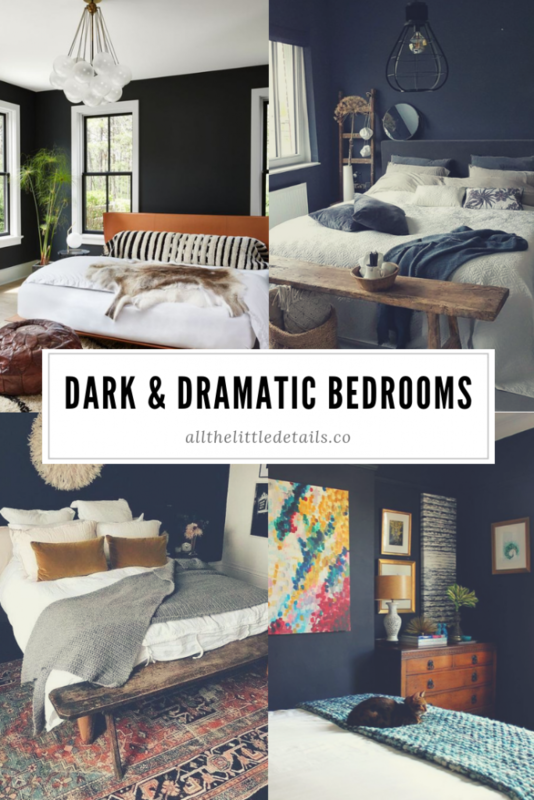 The one thing I have been thinking about over the past months is painting at least one wall dark to create a moody and cozy feeling in the room. 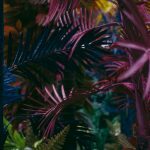 Take a look at some of these inspiring photos found around the internet and see what you think. I love the black and white contrasts, especially those windows! The natural elements really warm up the space. The stark white linen bedding and drapes brighten and softens this space, while that wood and rattan keep it cozy. Are you seeing a trend here? 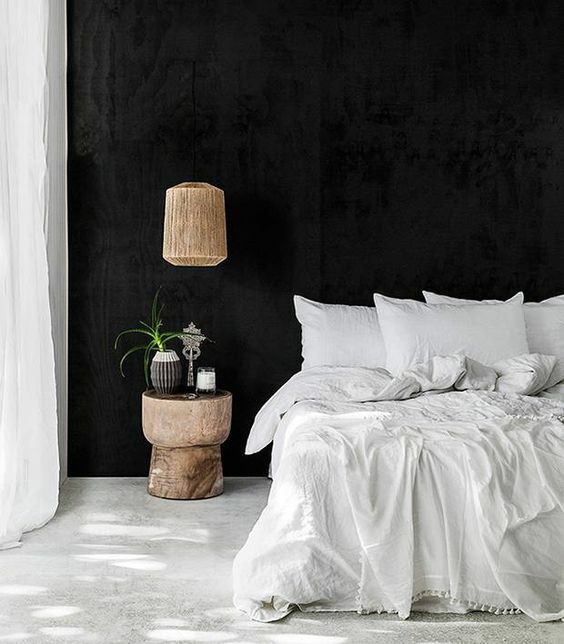 Black and white plus warm wood tones are a winning combination. 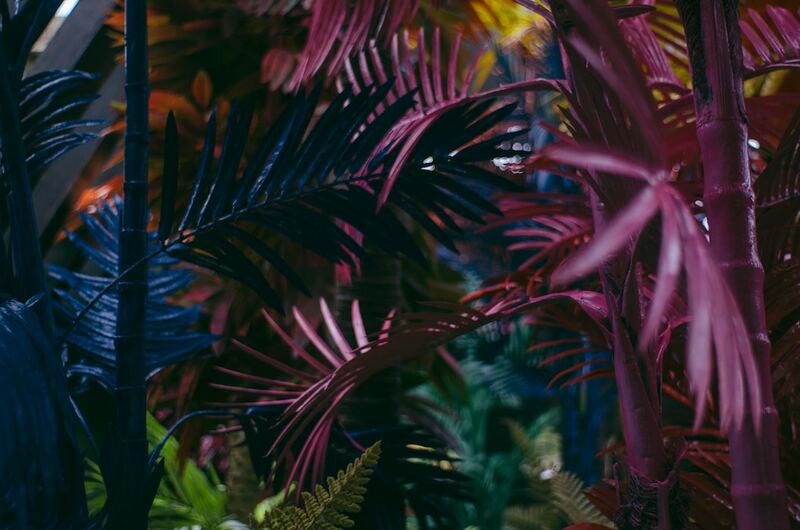 But why not add a splash of colour into the mix? 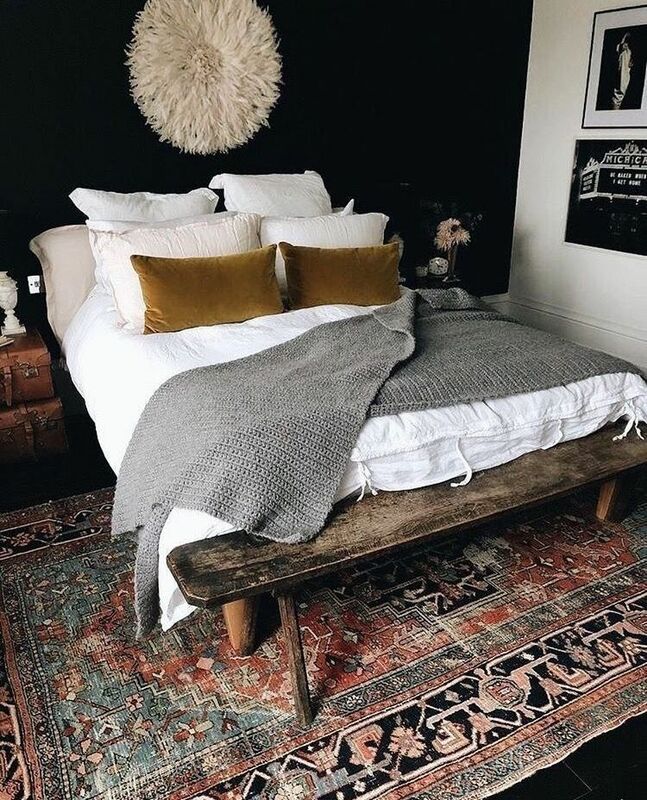 This fabulous rug and the dark gold pillows add so much interest here. Not to mention that fabulous Juju hat! Colourful art stands out so beautifully against the dark backdrop. 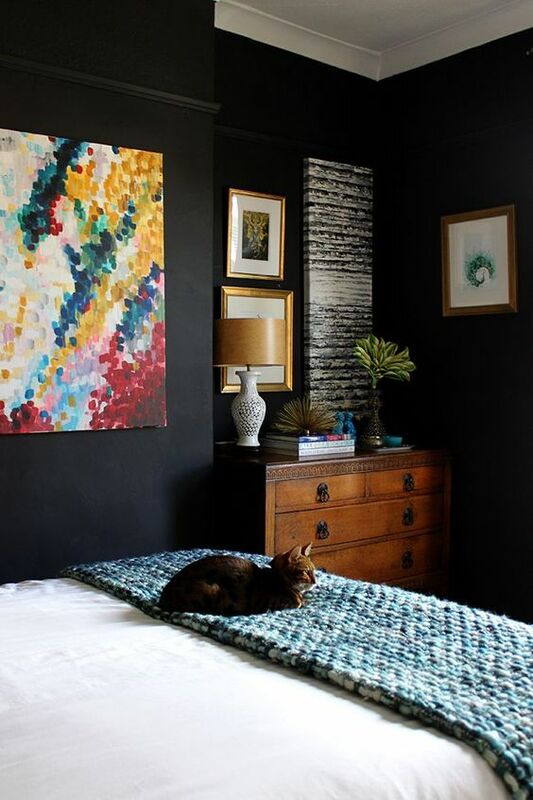 A colourful throw and a pretty feline doesn’t hurt the look as well. 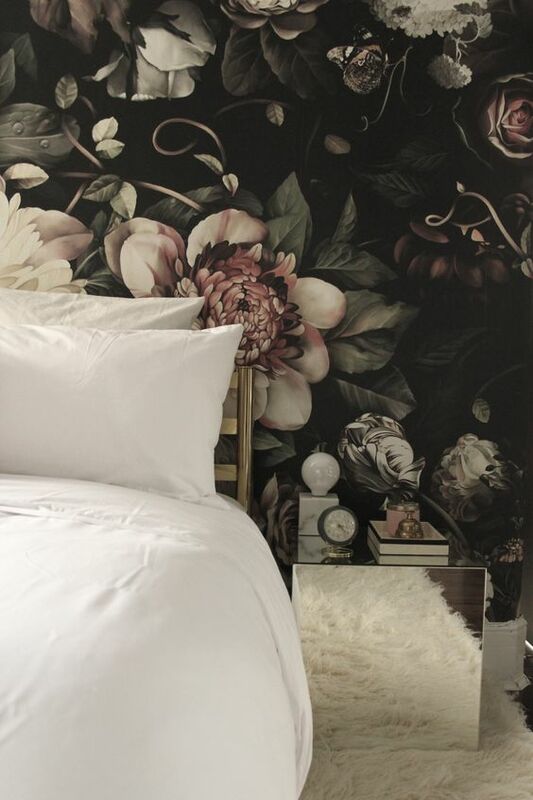 I love the dark floral mood that is trending now and I have been in love with Ellie Cashman wallpaper since the first time I laid eyes on her work. There is something so decadent and dramatic about large scale flowers on a black background. Not a bad feeling for a bedroom, I must say. So am I going with one of these looks? You’ll have to stay tuned!!! 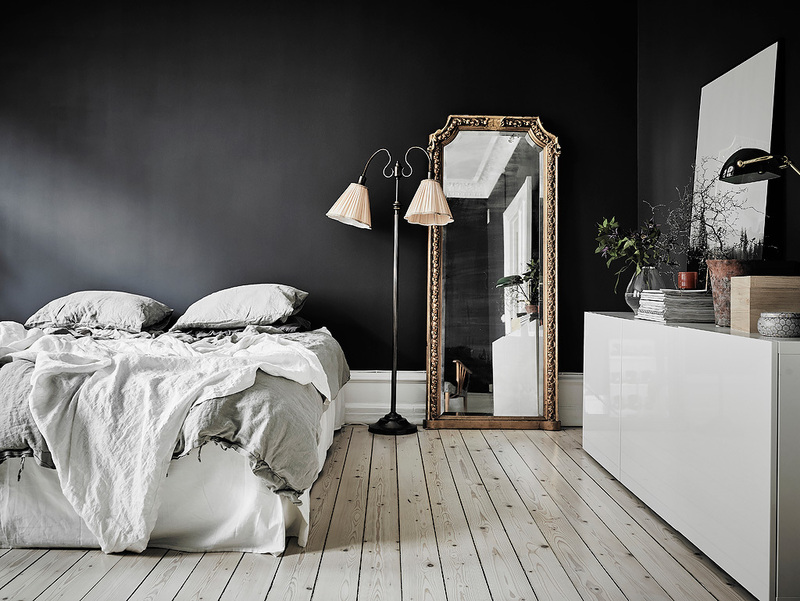 Would you ever consider painting your bedroom walls dark? An accent wall or the whole shebang? 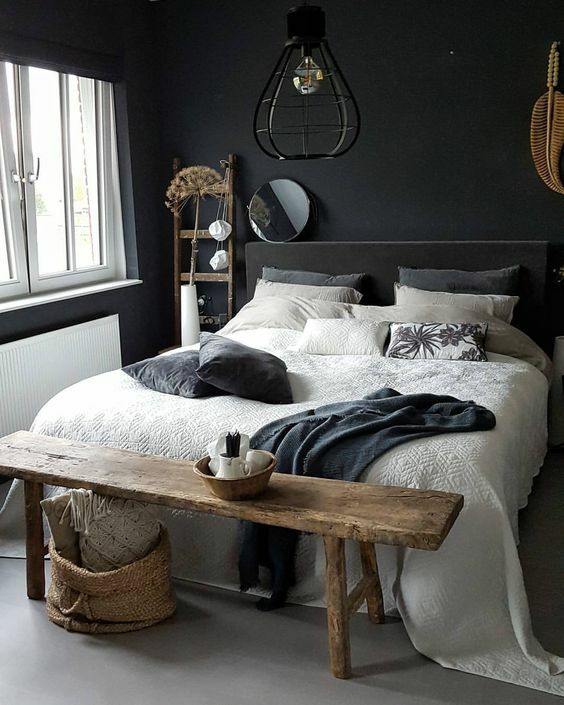 How do you feel about this dark paint color trend? P.S. The One Room Challenge starts next week!!! !